Atahualpa ( /ˌætəˈwɑːlpə/ ), also Atahuallpa, Atabalipa (in Hispanicized spellings) or Atawallpa (Quechua) (c. 1502–26 July 1533) was the last Inca Emperor. 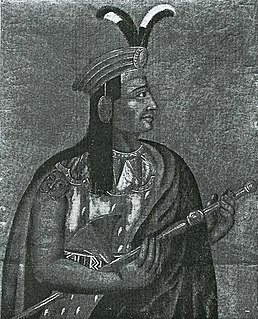 After defeating his brother, Atahualpa became very briefly the last Sapa Inca (sovereign emperor) of the Inca Empire (Tawantinsuyu) before the Spanish conquest. The Sapa Inca, Sapan Inka or Sapa Inka, also known as Apu ("divinity"), Inka Qhapaq, or simply Sapa, was the ruler of the Kingdom of Cusco and, later, the Emperor of the Inca Empire (Tawantinsuyu) and the Neo-Inca State. While the origins of the position are mythical and tied to the legendary foundation of the city of Cusco, historically it seems to have come into being around 1100. The position was hereditary, with son succeeding father. The emperor was viewed as a god. The principal wife of the Inca was known as the Coya. Huayna Capac, Guayna Cápac, Guayna Capac, Huain Capac, Guain Capac, Guayana Capac, Wayna Kapa, Wayn Capac, Wayana Qhapaq, Wayna Kapak, Wayna Capac, or Wayna Qhapaq (1464/1468–1527) was the third Sapan Inka of the Inca Empire, born in Tumipampa sixth of the Hanan dynasty, and eleventh of the Inca civilization. As other Sapa Inkas, Wayna Qhapaq subjects commonly approached him adding epithets and titles when addressing him, commonly as Wayna Qhapaq Inka Sapa'lla Tukuy Llaqt'a Uya "Unique Sovereign Wayna Qhapaq Listener of All Peoples", His original name was Titu Kusi Wallpa. He was the successor to Tupaq Inka Yupanki. Quito is the capital and the largest city of Ecuador, and at an elevation of 2,850 metres (9,350 ft) above sea level, it is the second-highest official capital city in the world, after La Paz, and the one which is closest to the equator. It is located in the Guayllabamba river basin, on the eastern slopes of Pichincha, an active stratovolcano in the Andes Mountains. With a population of 2,671,191 according to statistical projections (2019), Quito is the most populous city in Ecuador. It is also the capital of the Pichincha province and the seat of the Metropolitan District of Quito. The canton recorded a population of 2,239,191 residents in the 2010 national census. In 2008, the city was designated as the headquarters of the Union of South American Nations. 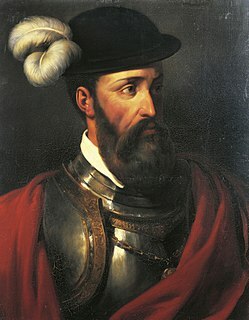 Francisco Pizarro González was a Spanish conquistador who led an expedition that conquered the Inca Empire. He captured and killed Incan emperor Atahualpa, and claimed the lands for Spain. 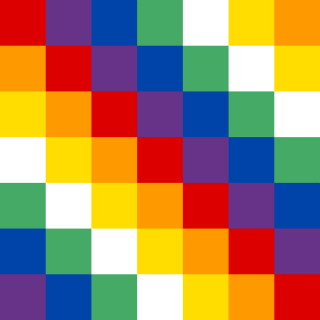 Throughout the Inca Empire's history, each Sapa Inca worked to expand the territory of the empire. When Pachacuti, the 9th Sapa Inca ruled, he expanded the Empire to northern Peru. At this point, Pachacuti sent his son Tupac Inca Yupanqui to invade and conquer the territory of present-day Ecuador. News of the expansion of the Inca reached the different tribes and nations of Ecuador. As a defense against the Inca, the Andean chiefdoms formed alliances with each other. The Cañari are an indigenous ethnic group traditionally inhabiting the territory of the modern provinces of Azuay and Cañar in Ecuador. They are descended from the independent pre-Columbian tribal confederation of the same name. The historic people are particularly noted for their resistance against the Inca Empire. Eventually conquered by the Inca in the early 16th century shortly before the arrival of the Spanish, the Cañari later allied with the Spanish against the Inca. Today, the population of the Cañari, who include many mestizos, numbers in the thousands. The Quitus were Pre-Columbian indigenous peoples in Ecuador who founded Quito, which is now the capital of Ecuador. The inhabitants' existence spanned from 2000 BCE to the beginning of the Spanish conquest of the city in 1524. Their occupation spanned from the strip of land from Cerro del Panecillo in the south, to plaza de San Blas in the centre, the area where these first inhabitants lived. Today, this strip has extended to become the city it is now. The Quitus are responsible for the capital's name and are of unknown relation to the town of Iquitos. The Puruhá are an indigenous people of Ecuador. Their traditional area includes much of the Chimborazo Province and parts of the Bolívar Province. Yawarkucha or Yawar Kucha, hispanicized spellings Yaguarcocha, Yahuarcocha) is a lake in Ecuador located in the eastern outskirts of the city of Ibarra in Imbabura Province, Ibarra Canton. The lake is about 2 kilometres (1.2 mi) long and wide and has an elevation of 2,190 metres (7,190 ft) above sea level. The lake was formed from glacial meltwater about 10,000 BCE. Although there are different accounts as to what Valverde said, most agree that he invited the Inca to come inside to talk and dine with Pizarro. Atahualpa instead demanded the return of every thing the Spaniards had taken since they landed. According to eyewitness accounts, Valverde spoke about the Catholic religion but did not deliver the requerimiento , a speech requiring the listener to submit to the authority of the Spanish Crown and accept the Christian faith. 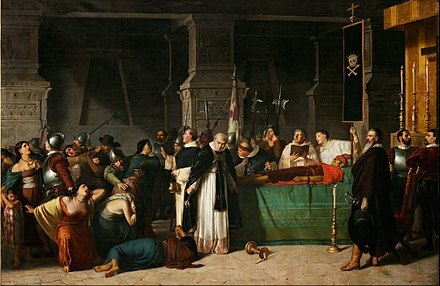 At Atahualpa's request, Valverde gave him his breviary but, after a brief examination, the Inca threw it to the ground; Valverde hurried back toward Pizarro, calling on the Spaniards to attack. At that moment, Pizarro gave the signal; the Spanish infantry and cavalry came out of their hiding places and charged the unsuspecting Inca retinue, killing a great number while the rest fled in panic. Pizarro led the charge on Atahualpa, but captured him only after killing all those carrying him and turning over his litter. Not a single Spanish soldier was killed. The burial site of Atahualpa is unknown, but historian Tamara Estupiñán argues it lies somewhere in modern-day Ecuador. She argues he was buried in Ecuador for safekeeping. The location is named Malqui-Machay, which in Quechua translates to "mummy",  and stone walls and trapezoidal underground water canals were found in this location. More serious archaeological excavation needs to be done to confirm Estupiñán's beliefs. Huáscar Inca was Sapa Inca of the Inca Empire from 1527 to 1532. 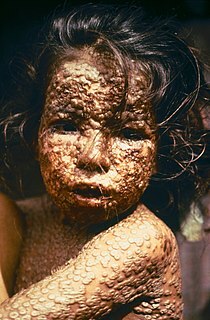 He succeeded his father, Huayna Capac, and his brother Ninan Cuyochi, both of whom died of smallpox while campaigning near Quito. Manco Inca Yupanqui was the founder and monarch of the independent Neo-Inca State in Vilcabamba, although he was originally a puppet Inca Emperor installed by the Spaniards. He was also known as "Manco II" and "Manco Cápac II". He was one of the sons of Huayna Cápac and a younger brother of Huascar. 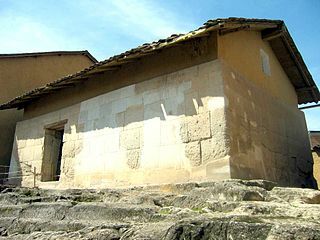 The Ransom Room is a small building located in Cajamarca, Peru. It is considered to be the place where the Inca Empire came to an end with the capture and eventual execution of the Inca Emperor Atahualpa. Chinchasuyu was the northwestern provincial region of the Tawantin Suyu, or Inca Empire. The most populous suyu, Chinchaysuyu encompassed the former lands of the Chimú Empire and much of the northern Andes. At its largest extent, the suyu extended through much of modern Ecuador and just into modern Colombia. Along with Antisuyu, it was part of the Hanan Suyukuna or "Upper Quarters" of the empire. Quizquiz or Quisquis was, along with Chalcuchimac and Rumiñawi, one of Atahualpa's leading generals. In April 1532, along with his companions, Quizquiz led the armies of Atahualpa to victory in the battles of Mullihambato, Chimborazo and Quipaipan, where he, along with Chalkuchimac defeated and captured Huáscar and promptly killed his family, seizing capital Cuzco. 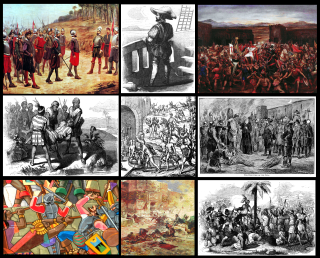 Quizquiz later commanded Atahualpa's troops in the battles of Vilcaconga, Cuzco and Maraycalla (1534), ultimately being bested by the Spanish forces in both accounts. The Battle of Chimborazo was among the first confrontations in the War of the two brothers, a struggle between Huáscar and Atahualpa for power over the Inca Empire. Atahualpa won, having the more capable generals; he drove Huáscar back onto the defensive. The Treasure of the Llanganates refers to a huge amount of gold, silver, platinum and electrum artifacts, as well as other treasures, supposedly hidden deep within the Llanganates mountain range of Ecuador by the Inca general Rumiñahui. 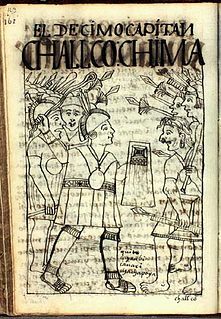 Chalcuchimac was, along with Quizquiz and Rumiñawi one of the leading Inca generals of the north and a supporter of Atahualpa, for whom he had won five battles against the Spaniards. Tumebamba, Tomebamba or Tumipampa was a former main regional city in the Inca Empire. Tumebamba was chosen by the Emperor Huayna Capac to be the Inca northern capital. The city was largely destroyed during the civil war between Huáscar and Atahualpa shortly before the arrival of the Spanish conquistadors in 1532. The Spanish city of Cuenca, Ecuador was built on the site of Tumebamba although a portion of the Inca city is preserved at the archaeological sites of Pumapunku and Todos Santos. 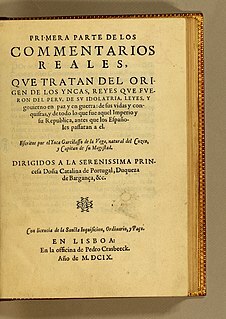 The Comentarios Reales de los Incas is a book written by Inca Garcilaso de la Vega, the first published mestizo writer of colonial Andean South America. The Comentarios Reales de los Incas is considered by most to be the unquestioned masterpiece of Inca Garcilaso de la Vega, born of the first generation after the Spanish conquest. He wrote what is arguably the best prose of the colonial period in Peru. 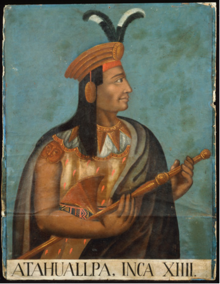 Paullu Inca (1518–1549) was a puppet Sapa Inca installed by the Spaniards after the previous Sapa Inca, Manco Inca Yupanqui, rebelled against the Spanish and established the small Neo-Inca State in Vilcabamba. Cura Ocllo was an Inca queen, the wife and sister of Manco Inca Yupanqui, puppet and later remnant ruler of the Inca Empire from 1533 until his death in 1544. 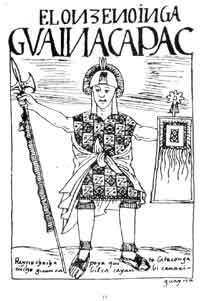 Her husband was named Sapa Inca in October 1533 after the death of their common brother Túpac Huallpa, who in his turn had succeeded Atahualpa upon his execution by the Spaniards three months earlier. ↑ Hewett 1968, p. 171. ↑ Veatch 1917, p. 60. 1 2 Hemming 1993, p. 557, footnote 78. ↑ Hemming 1993, p. 28. ↑ Rostworowski 2001, p. 80. 1 2 Rostworowski 2001, p. 199. ↑ Sosa Freire 1996, pp. 39-40. ↑ Espinoza Soriano 1997, p. 105. ↑ Herrera Cuntti 2004, p. 405. ↑ Pease García-Yrigoyen 1972, p. 97. ↑ Quilter 2014, p. 280. ↑ Bauer 2005, pp. 4–8. 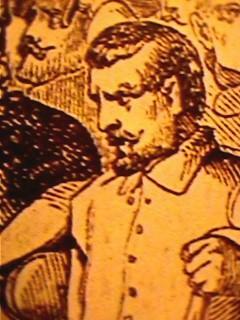 ↑ Prescott 1892, pp. 312–317. ↑ Prescott 1892, p. 364. ↑ Hemming 1993, pp. 28–29. ↑ Hemming 1993, p. 29. ↑ Hemming 1993, pp. 31–32. ↑ Hemming 1993, p. 32. ↑ Hemming 1993, pp. 32–33. ↑ Hemming 1993, pp. 33, 35. ↑ Hemming 1993, pp. 34–35. ↑ Hemming 1993, p. 36. ↑ Hemming 1993, p. 39. ↑ Hemming 1993, pp. 38–39. ↑ Hemming 1993, p. 40. ↑ Hemming 1993, pp. 40–41. ↑ De Betanzos 1996, p. 263. ↑ Hemming 1993, p. 41. ↑ Hemming 1993, p. 42. ↑ Hemming 1993, pp. 42, 534. ↑ Hemming 1993, pp. 42, 534–35. ↑ Hemming 1993, pp. 42–43. ↑ Hemming 1993, p. 43. ↑ Hemming 1993, pp. 39–40. ↑ Hemming 1993, pp. 49, 536. ↑ Hemming 1993, p. 79. "Traitor Ruminaui hearing of the Inca's death fled to Quito where the remaining hoard of the Kings ransom gold was kept in trust by Quilliscacha who now on Atahualpa last wishes was now Inca, but was killed by Ruminaui. Ruminaui killed the Royal Inca descendants for his own greed." ↑ Prescott 1892, pp. 438, 447, 449. ↑ Prescott 1847, p. 111. ↑ "Atahualpa, Last Inca Emperor". Archaeology . 16 July 2013. ↑ Caselli, Irene (12 May 2012). "Ecuador searches for Inca emperor's tomb". BBC News. Retrieved 24 July 2018. Hewett, Edgar Lee (1968). Ancient Andean Life. Biblo & Tannen Publishers. ISBN 9780819602046 . Retrieved 24 July 2018. Kauffmann Doig, Federico (1970). Arqueologia Peruana[Peruvian archaeology]. Lima. Pease García-Yrigoyen, Franklin (1972). Los Últimos Incas del Cuzco[The Last Incas of Cuzco] (in Spanish). Lima, Perú: Instituto Nacional de Cultura. p. 97. 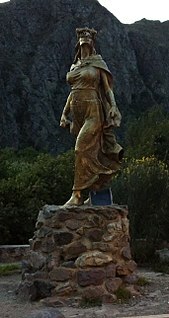 "Atahualpa" . Appletons' Cyclopædia of American Biography . 1900.